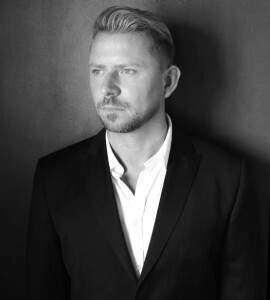 If you are truly serious about makeup or makeup brushes, chances are you already know Wayne Goss. If not, he is a rock star makeup artist, instructor and vlogger, with more than a million YouTube subscribers. Wayne Goss, The Collection. $210. In what may be one of the most anticipated makeup brush launches ever, “Wayne Goss, The Collection” debuted exclusively on Beautylish this week. 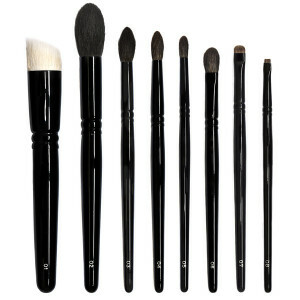 The 8-piece set of makeup brushes retails for $210 (or individually for $17 to $45 per brush). The collection was personally designed by Wayne and handcrafted in Japan with the softest natural hair bristles, which Wayne says were gathered humanely. “It was always about the brushes. I’ve been one of those people … that throughout my career, who said that it’s much better to have a really good brush and cheap makeup than it is to have really expensive makeup and a poor brush. We have not yet reviewed Wayne’s collection of brushes, and they are likely to be hard-to-get. Beautylish, the exclusive retailer for the brushes, was taking pre-orders for the brushes for some time and it cautions on its website that delivery will take 8 weeks from the date of purchase. 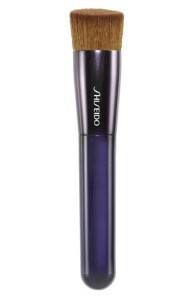 Shiseido “Perfect” Foundation Brush. $30. Wayne Goss, Brush 01. $45. There are similar (not exact) dupes to all of these brushes already on the market, and we will suggest a full list of dupes once we get our hands on Wayne’s brushes for testing. But for now, let’s start with his most expensive $45 brush, which he calls Brush 01. Wayne decided not to label his brushes by purpose, as great brushes are usually multi-purpose, but we’ll just call this one a foundation brush. This is awfully similar to Shiseido’s $30 “Perfect” Foundation brush, which has won several beauty awards from Allure and InStyle magazines. 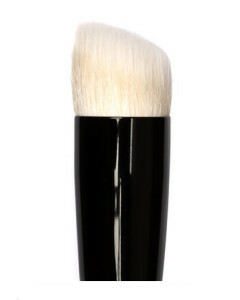 Or, it may be even more similar to several Hakuhodo foundation brushes discussed at TheNon-Blonde blog. Other beauty bloggers have been speculating that either Hakuhodo or Chikuhodo are manufacturing Wayne’s collection. City of Brushes – Yes, Makeup Brushes!